Daminion is a Low-Price Digital Asset Management System (DAM). Ideal for Small Teams. Multiple users can view, annotate, and edit your digital assets simultaneously and without risk of losing information; your digital library will be protected from irreparable damage, which is not the case when using a file-server based solution. 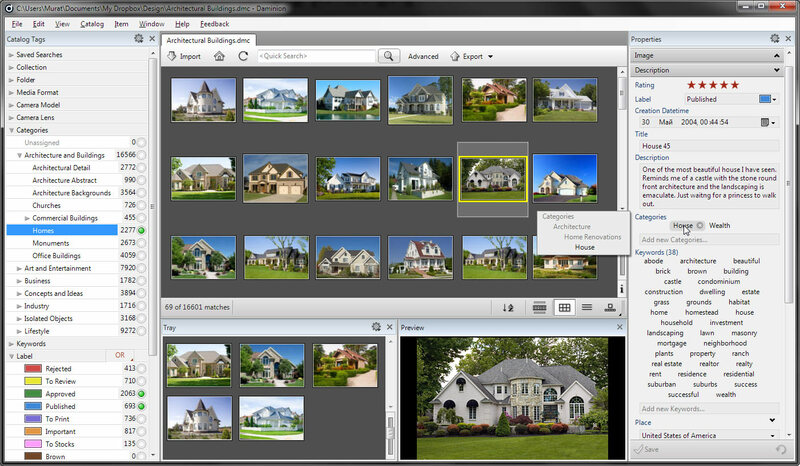 Daminion is an Low-Price Digital Asset Management System (DAM). Ideal for Small Teams. I have been using Daminion for a little while now in a trial capacity. I see it as the only real digital media cataloguing tool that's worth bothering with and believe me, I have tried many.